It’s funny how the something we take for granted as an everyday part of Australian life is viewed by those unfamiliar with our lifestyle, but a friend’s reaction to the concept of camel racing – and betting on it – drove the reminder home last week. “You’re going to race what?” she said with stunned confusion via Skype after I’d explained the concept of the Boulia Camel Races. After I reiterated what the iconic event was all about and that there were also on-track bookmakers, she started laughing, shaking her head at the idea of wagering hard-earned money on the ships of the desert. “Man, you Aussies will literally bet on anything,” she said with her thick New York accent. Her comments about Australians having a penchant for betting on anything that moved made me think, and after our conversation ended, I sat back and contemplated the gambling eccentricities of punters in this country. We actually will bet on anything we can get odds on, including what are essentially feral pests. It’s part of what makes Australia the unique country it is but when you consider what else we place wagers on, an annual punt on camel racing doesn’t even make the top three weirdest things to race and bet on. I don’t know why, but Australians love to bet on pests. In addition to camels, cane toad and cockroach racing round out the trifecta of animals-we-could-do-without that we’re happy to support with our wallets, as long as they’re racing and not invading our houses. While the noxious cane toads are raced weekly in pubs from Cairns to Coolangatta, it’s the cockroaches that raise the eyebrows of most tourists when they witness them racing for the first time. Perhaps the most iconic of all cockroach races in Australia is held every Australia Day in my old stomping ground of Brisbane, at the Story Bridge Hotel in Kangaroo Point. 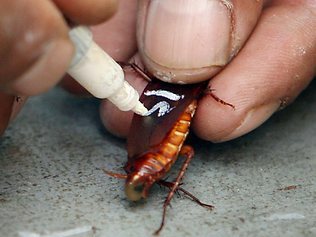 According to a spokesman for the annual spectacle, the event “has had a long and distinguished history” that set the foundation for cockroach racing in Australia. I couldn’t make this up if I tried but it gets better: organisers fly in cockroaches for racing. Yes, racing cockroaches apparently travel to compete, just like Black Caviar. “We actually buy them [the cockroaches] and fly them up from Melbourne,” the spokesman said when I posed the question last week. 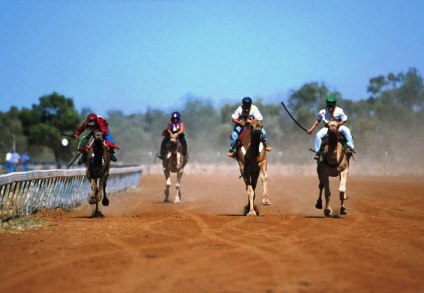 If insects and feral animals aren’t your style, you can always bet on the lizard races in Eulo. Feel like a seafood fix? If so, crayfish racing may be your forte. racers, they are certainly supported by spectators like they’re running in the Melbourne Cup. Worse still, punters who decide to bet as well as splash out the $10 or $20 needed to purchase one of the ‘thoroughbreds’ act like they have just purchased Makybe Diva for $15,000. The only difference is that, if your crayfish doesn’t perform well during the race, you can always commiserate eating with a little bit of garlic butter and a cold beer. I spoke to my friend in New York again last night and after I rattled off the list of amphibians, insects and crustaceans Australians regularly bet on, she burst out laughing and said it proved her point. “Do you guys just look at random animals and decide to catch them, race them and bet on them?” she queried. Who said horses and greyhounds were the only animals you could bet on? Australia’s love of a punt is evident in the crazy things we race and wager on but we wouldn’t have it any other way. So, if you are betting on something ridiculous – including the proverbial flies on the wall – in Australia this weekend, take a moment to reflect on how unique what you are doing is as you put your betting slip into your wallet. Okay, I’m just going to say it. I don’t want to hear the name Black Caviar uttered for at least three months. When something without opposable thumbs has more than 19,000 followers on Twitter, enough is officially enough. The fact that a horse has a Twitter account in the first place defies logic, but common sense and the Australian public have never been bedfellows when it comes to the champion mare. 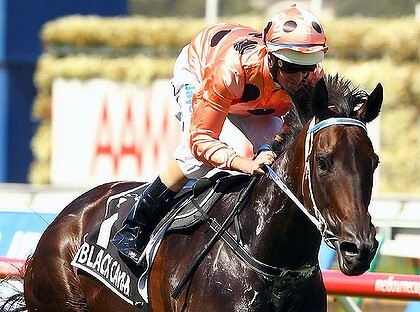 I am not questioning how good a thoroughbred Black Caviar is – the proof is in her 22-0 race record – but I’m beginning to tire with the incessant media coverage and public hysteria surrounding the five-year-old. 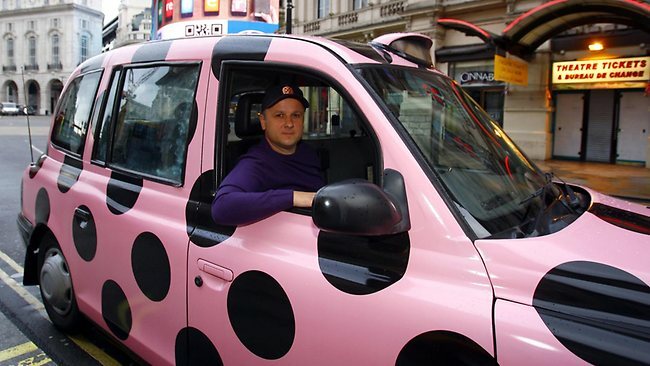 Like almost 20,000 others around the globe, I follow Black Caviar on Twitter, which probably makes me part of the problem. She started tweeting in the first person. Given the Peter Moody-trained superstar has hooves, I’m going to go out on a limb and suggest she may have a little help in the social media department. That said, if it is in fact her tweeting, she’s transcended just being one of the world’s best sprinters to be the only horse in the world capable of operating a BlackBerry. “Luke is feeling that what happened the last few strides will detract from my win, is breaking his heart. It shouldn’t, WE WON TOGETHER.” she tweeted on June 24 in defence of embattled jockey Luke Nolen. What have we become as a sport-loving nation when we are falling over ourselves to read – and respond to – messages apparently from a non-toilet trained five-year-old? Cleary, Sydney Morning Herald chief sports columnist Richard Hinds agrees with me. I’m glad I’m not alone as I question if we have gone too far in our love of a racehorse. With all the hype, rock star treatment and 24/7 coverage, it’s easy to forget she is just that: a horse. Yet the Australian public has gone Caviar crazy, embracing – and purchasing – every conceivable novelty bearing the mare’s name or famous salmon and black colours. 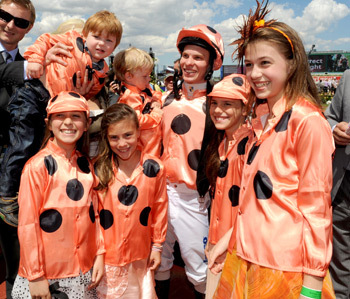 Thousands of Australians packed into Royal Ascot at the weekend wearing Black Caviar ties, vests, shirts and, unfortunately, dresses. I’m sorry, but there are few things on this earth more disturbing than a middle-aged woman wearing a shiny salmon dress covered in black polka dots while drinking champagne as the world watches. Some have taken it further, demanding their local tattoo artists give them a permanent reminder of the country’s wonder horse. Collingwood Magpies star Dale Thomas is the most high-profile person to sport a Black Caviar tattoo, but at least his is the result of losing a bet to one of the horse’s owners. Many Australians are getting ink depicting the mare just because they can. What’s next, getting the entire Australian Olympic and Paralympic teams tattooed on your back just because you are getting into the Olympic spirit? While there’s no doubting Black Caviar is an incredible animal and one of the best Australian thoroughbreds of all time, I think it’s time to step back and smell the metaphorical roses and horse manure when you begin covering yourself in salmon and black tattoos or believing a horse – living in a stable – is utilising social media to communicate with her fans across the world. The mania surrounding the mare won’t stop on its own. The media organisations – who make a fortune every time a Black Caviar story airs or goes to print – and the five-year-old’s connections – who are also doing very well, thank you very much – will publicise her until they are flogging the proverbial dead horse. I have no problem with supporting our best export since Phar Lap but I do have an issue with Black Caviar’s publicity people trying to convince us she’s capable of sending personal messages of insight and inspiration, 140 characters at a time while they get rich because of our apparent gullibility. Irrespective of what Black Caviar – or someone cleaning her stable – tells you on Twitter, you don’t need a spare tyre cover with the five-year-old’s head emblazoned on it for your four-wheel-drive. Just because the Channel 7 presenters tell you “everyone will be showing their support by wearing her colours” when she jumps from the barrier doesn’t mean you should spend $2000 on a tailored, three-piece suit in salmon and black. The next time you feel like adorning yourself with a Black Caviar tattoo or donning a suit that mirrors Nolen’s silks, remember the mare is just a horse who defecates where she pleases, which may have included on the roses at Royal Ascot. Should on-field loyalty for a club be greater than that shown by its supporters? That is, should players be more loyal to the team colours because, put simply, they are the heart and public face of the club? I wrote a column in Each Way Bet a few weeks ago discussing loyalty to your team from the perspective of a supporter, and whether it was acceptable to have a ‘back-up ‘ team. You know, the team you turn to when your favourite team – the one you would allegedly support come hell or high water – goes through a rough patch. The feedback I received was interesting. Opinion was split on whether it was okay to have a second – or even third – team in the event of poor performance. Surprisingly, the responses were more cut and dry when posed the question to players about loyalty. I asked seven amateur sportspeople – both male and female from a variety of sports – and was told in six out of seven instances that they would consider jumping ship if their team went for a sustained period without victory. Ladies and gentlemen, the SS Loyalty has left port. Aren’t two of the biggest drawcards of amateur sport the social aspect and the opportunity to compete side-to-side with your friends, through good and bad? Aren’t those aspects somewhat removed if you are prepared to move to a different team the moment you experience a string of losses? More importantly, are we that obsessed with winning that we are prepared to abandon our teammates – often mid-season – in the pursuit of victory? Based on the evidence at hand, apparently we are. I ran into a well-known sporting identity at Buchanan Park on Saturday and after the sixth race had finished, got onto the subject of loyalty. This sportsperson has had a pretty average season personally and their team is struggling for form, which is the polar opposite of last season, when it won the grand final in its respective division. As we discussed form and turning the season around, I was surprised to learn they were attempting to change teams because “they were sick of losing each week”. “We did so well last year but we can’t take a trick this season,” they said. When I questioned their loyalty to the team and how they could contemplate ditching their teammates after the premiership season, I was advised it was all about winning. “I play to win,” they told me with just a hint of venom in their voice. Puzzled by this apparent lack of loyalty and ‘fair weather sailing’ approach, I asked a friend of mine in Brisbane – who plays the same sport as the aforementioned individual – what they would do. “No one wants to play on a losing team,” he told me. So, that’s the attitude we are taking into our amateur sport these days? The belief that if we aren’t winning, it’s not worth competing? If the only important thing in amateur sport was winning, you would have one or two strong teams with dozens of players clambering to sign up, while the other clubs in the competition would be struggling for numbers. 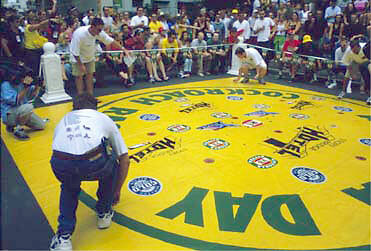 Without numbers you can’t participate, so some clubs would be forced to pull stumps. With fewer teams, the quality of the competition would dilute to the point you had nothing but one-sided score lines week after week, which would make more and more players on the losing sides go and play somewhere else. Eventually, you would only have two teams going head-to-head each week, which isn’t really a sporting contest. That’s why we need loyalty on the sporting field: to see us through the tough times and ensure that our respective sports have a future. Sometimes, victories will be few and far between, but it’s how you stay committed to your club colours and teammates that makes winning even sweeter when your team does experience it again. The true test of someone’s depth of character on the paddock – or on the court, track or water – is how they react when the chips are down and they are staring defeat in the face. Deserting your teammates like a rat on a sinking ship makes you a poor sport, irrespective of how skilled you. Ask any coach or club stalwart: they’d rather have 20 players of average ability who worked as a team and stuck together through thick and thin than 20 superstars who contemplated changing teams as soon as theirs fell behind on the scoreboard. In amateur sport, genuine allegiance to your club is the key. 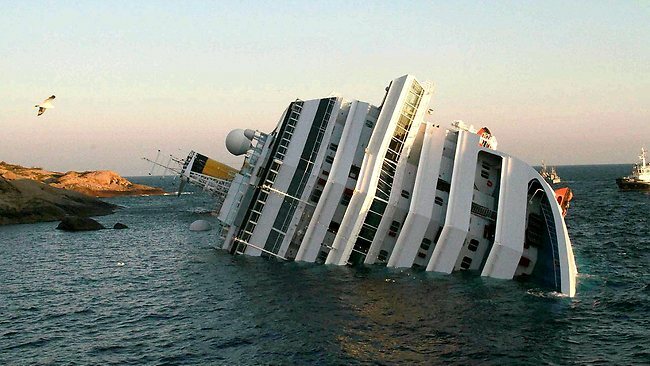 It’s something to consider the next time your team loses and you contemplate taking a cruise on the SS Loyalty. When did a referee’s decision on the sporting field become an open invitation to criticise and offer one’s own interpretation on the ruling? Sport and emotion go hand in hand. It’s a combination that makes the former great and loved by so many Australians. When that passion erupts – both on and off the field – after a questionable decision, the mix is unfortunately also everything that’s wrong with sport in 2012. Whatever happened to accepting the umpire’s decision, right or wrong, in the spirit of good sportsmanship? Have we become so focused on winning that ‘sportsmanship’ has become a foreign term to players and fans? Don’t get me wrong. I know as well as anyone that on-field officials stuff up. I still remember playing in a state cricket carnival when I was 15 and being given out caught behind, even though my bat hadn’t gone within four inches of the delivery in question. As I played the stroke and looked up, I recall being stunned at seeing Mr Magoo’s finger pointing skyward. I knew I hadn’t hit it. The bowler, by that stage ecstatic and running towards the slips cordon, knew I hadn’t edged it. The smug wicketkeeper, who was as surprised as I was when the umpire’s finger went up, told me outright he knew I hadn’t hit it when he appealed. I guess I could have stood my ground and thrown a hissy fit, but what would that have proved? The biggest message my junior sport coaches ingrained in me was “love sport, but be a good sport”. It’s a credo I hear coaches in Mount Isa reinforcing every weekend as they mentor and develop the sportspeople of tomorrow. If that’s the case, why have so many people forgotten the concept of sportsmanship after they have made the transition to the senior ranks? In my three months in Mount Isa, I’ve seen countless examples of people questioning a referee’s decision after they believe it went against them. 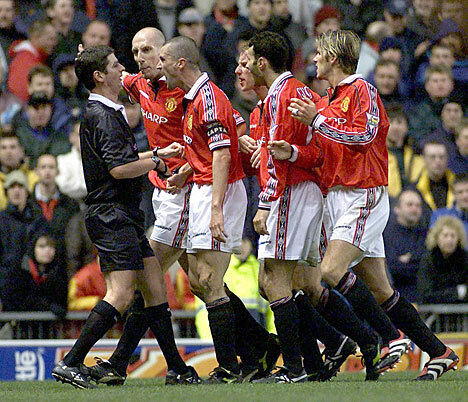 More often than not, the question is posed in the form of a nonsensical, vitriolic spray, after which the offender generally explains why the referee was wrong and what they can do with their whistle. The disappearance of sportsmanship isn’t something unique to local and amateur sport. 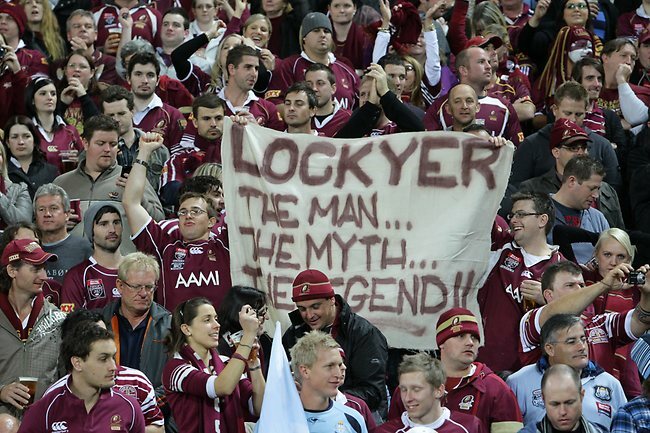 This was most clearly evident during last week’s State of Origin opener. Greg Inglis’ controversial 73rd-minute try was awarded by video referee Sean Hampstead, Blues supporters across the country erupted and began crying foul. Things weren’t any better on the field. “What is it? The arm or the leg mate? How the hell is that a try? Mate, this is out of control. This is ridiculous, where this is getting,” screamed NSW captain Paul Gallen. In a way, Gallen was right. Things were getting ridiculous, like the way he was acting like a petulant six-year-old whose twin brother just scored a better birthday present. It doesn’t matter whether or not Hampstead was right or wrong in his decision. He was a match official and his ruling was that it was a Queensland try. Referees are people. People make mistakes. While it’s difficult to accept, referees will occasionally make poor – or outright wrong – decisions. 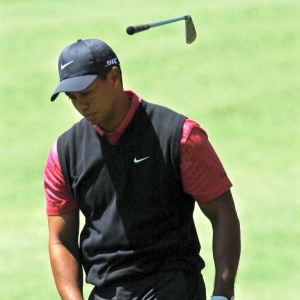 How we, be it as players or spectators, react to the poor decisions make or break sport. No one likes a bad call, especially if it changes the game, but we need to accept it will happen from time to time. The more sport you play or watch, the odds of you being on the receiving end of a bad decision increase exponentially. If you can’t accept that, perhaps you should distance yourself from sport altogether. It’s okay to be passionate about your sport; in fact, it’s encouraged. What’s not acceptable is to leave your sportsmanship in the boot of your car when you grab your kitbag before a game or event. Be emotional on the field or from the sideline, but please leave your toys in the cot if a decision doesn’t go your way. With the opening State of Origin clash only 12 days away, I thought it was time to inject a blue and maroon theme into this column. Should rugby league’s most revered contest be played in Melbourne, or is that tantamount to sporting sacrilege? Most diehard Queensland and New South Wales supporters will tell you that Melbourne can “get stuffed” and keep its own football code when the subject of which cities should host the three matches is broached. In fact, three Mount Isa rugby league fans gave almost verbatim responses this week when I posed the question about State of Origin in Melbourne. Unfortunately for the fans, the decision to play a State of Origin game in Melbourne isn’t one based on state pride. As with all things in professional sport, the decision was based on economics. That, and the ongoing exposure and development of rugby league outside of the game’s spiritual home and holiday house in Brisbane and Sydney. A huge – and very profitable – rugby league market is emerging in Melbourne, and the powers that be are planning taking advantage of that. It’s incredibly unlikely the people making the decisions will be swayed by the heartfelt pleas and sky blue and maroon-tinged anti-Melbourne arguments of fans who remember the first game in 1980. When players run onto Etihad Stadium on May 23, they will do so in front of more than 60,000 screaming fans keen to witness rugby league’s greatest spectacle. That’s good for the sport, and good for the coffers of everyone involved. Besides, why shouldn’t Melbourne host a game? We can’t restrict a competition that spruiks itself as the National Rugby League to just two states, even if we are talking about a contest played between just them. The lone Victorian-based NRL team, the Melbourne Storm, has been one of the dominant teams in the competition in the past few seasons. They are undefeated after nine rounds in 2012. The team’s three biggest stars – Cameron Smith, Billy Slater and Cooper Cronk – will all pull on the Maroon jersey 12 days from now, and are referred to as “our boys” by most Queenslanders. With that in mind, isn’t it a little hypocritical to suggest Melbourne isn’t entitled to one State of Origin game each year? Former Brisbane Bronco and Queensland player Ben Ikin is a firm believer in the fact Melbourne – and eventually, the rest of Australia – needs more exposure to the game. Ikin suggests that the first and second game in each series should be played in Brisbane and Sydney, with the third going to Melbourne, but he ventures further by saying other Australian cities should eventually host matches. “When we determine the Melbourne rugby league market has reached its target maturation, we look for our next area of growth and send State of Origin there for however long we need to,” he said. Ikin makes a strong point: if the game is going to continue to go from strength to strength in Australia against fierce competition from the AFL, soccer and rugby union, it can’t just be seen as the game of cockroaches and cane toads. State of Origin is all about where the game has come from, but for it to prosper, we need to take a moment to look at where it’s heading. Another week, another opinionated column. Here’s a taste of the column I’ve written in today’s The North West Star about the current embarrassment that is professional soccer in Australia, and why the billionaires involved need to step back and take a few deep breaths. For those who have emailed me asking why I’m writing about sport so much, the answer is simple. I’m a sports journalist. It’s kind of my job to write about it. A lot. That said, many will be happy to know that I’m currently working on a few non-sporting pieces for The Dissemination of Thought. Voting has now opened for the People’s Choice Award component of the Best Australian Blogs 2012 competition, which is run by Sydney Writers’ Centre. If you could click on the link and vote for my humble – and occasionally nonsensical – blog it would be greatly appreciated. To keep an eye on the competition’s progress on Twitter, search for the #bestblogs2012 hashtag or follow @SydneyWriters. What is going on with soccer in this country? After Football Federation Australia stripped Clive Palmer the Gold Coast United A-League licence almost seven weeks ago, Australia’s premier round ball competition has looked like it was in a state of disarray. When Nathan Tinkler, another mining magnate with his finger in a few sporting pies, decided he no longer wanted the Newcastle Jets licence this week, the A-League was about to experience a total meltdown. It’s a pity, because the apparent battle of the billionaires is taking the focus off the key element of the A-League: the soccer. The verbal stoushes between Frank Lowy, Palmer and now Tinkler are almost farcical. Am I the only one who feels like I’m watching the sporting equivalent of a Days of Our Lives episode? It’s almost a reality show where contestants go head-to-head in a clash of the chequebooks. 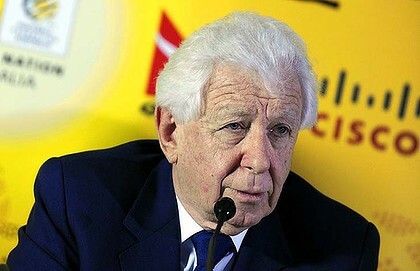 When news of Gold Coast United’s demise became public, FFA chairman Lowy said he was disappointed but that he had no alternative but to revoke the licence following Palmer’s “flagrant disregard” for A-League rules. Never the wallflower, Palmer fired back. “We don’t know what the charge is and Frank Lowy has behaved like a dictator. This course of action should not be allowed to stand in Australia,” Mr Palmer said. The comments were almost as unbelievable when Tinkler’s Hunter Sports Group handed back its licence for the Jets, albeit with the role of instigator reversed. “Unfortunately, having lost confidence in the FFA management and its ability to find a resolution, it is clear we have no other option,”HSG chief executive officer Troy Palmer said. It’s a pitiful look for the sport. There has been little comment from the players on how they feel about being used as pawns in what looks, at face value, like a “my wallet’s bigger than yours” contest between three of the richest men in the country. One would have to assume that, like the fans, they’ve had enough. Among the threats, laughable quotes and chest puffing, many have forgotten there’s still on-field action in the A-League. It’s disappointing that the most important part of the sport has been relegated to the naughty corner like a small child, when in fact the child has done nothing wrong. The poor cherub has been punished for the actions of its bickering parents. Perth Glory travel to Gosford tomorrow night to challenge Central Coast Mariners for a spot in this season’s A-League grand final against Brisbane Roar. There is some tremendous soccer talent in this country, and it’s about time we remember that. The talent of the players needs to take centre stage again, as does the dedication of the clubs’ coaches, management teams and administration staff. It’s time to give the fans what they actually pay for: the best soccer Australia can offer. There are some glaringly deep issues with the way the A-League is being run, but that’s an issue for another day. The billionaires have run out of yellow card chances: it’s time to begin sending a few egos off.